Just hours left to vote! Voting in our March madness competition ends today! There's still time to make your pick for the Members-only Island that we should open up to everyone. Voting is still close. Red Dragon Island is maintaining a lead, but Charlie and the Chocolate Factory is right on its heels, and the Wimpy Kid Islands not far behind! You can help Red Dragon Island across the finish line, or help one of the other choices make a last-minute comeback! But only if you go to Poptropica now to vote. Enter any common room to get a ballot, and vote as often as you like! It's nearly your last chance to vote in our March madness competition! One Members-only Island will be unlocked for every one to play -- but which one? Your vote could be the difference! Voting totals are still incredibly close -- and voting ends this Thursday, March 31. Don't miss out on the chance to make your voice heard! Visit Poptropica and go into any common room to find the ballot. You can vote as many times as you'd like! Monkey Wrench Island now in the Poptropica app! The latest free update to the Poptropica app has just landed in the App Store! Now, you can play Monkey Wrench Island on your iPad, iPhone, or iPod Touch. Can you befriend the monkeys of Monkey Wrench Island, win the flying ace race, and listen to Crusoe's boring stories? Download the Poptropica app for your iOS device from the App Store! One week left to get in on the madness! There's one week left to vote in March Madness! The results are still incredibly close. Which Members-only Island do YOU want to see opened up to everybody? To vote, visit any common room in Poptropica. Click on the ballot that pops up. You can vote as much as you want -- but only through March 31. Your vote counts. Go to Poptropica now to cast your ballots! 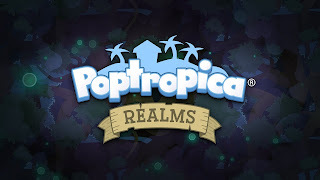 Poptropica Realms is back, baby! Boy howdy, did we have a dickens of a time squashing some tenacious bugs that had popped up in Poptropica Realms. But the forces of good have prevailed! Poptropica Realms is once again open for business. 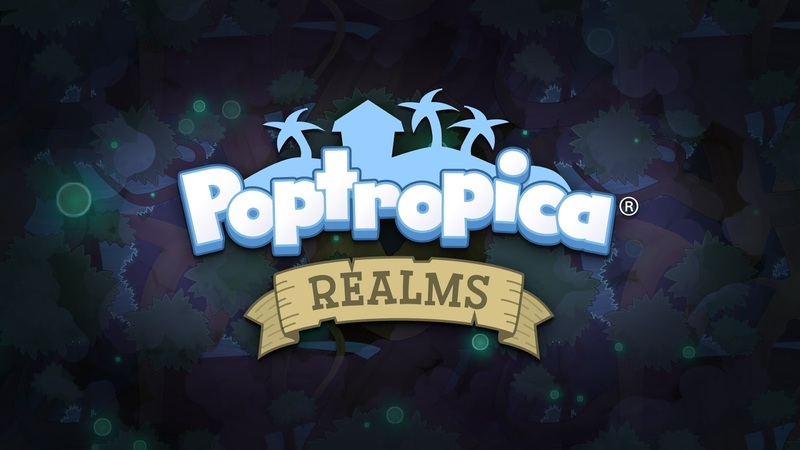 You can reach Poptropica Realms either through the first page of the travel map, or from the returning user page after you log in. We hope you're excited to dive back into creating and sharing your Realms. Go to Poptropica now to play! Free spring powers in the store now! It's springtime in Poptropica, and that means the flowers are growing and the Poptropicans are ... sneezing? Right now we're offering two super-fun, free powers in the Poptropica store! Flower Power gives you a cute flower costume and also lets you grow pretty flowers all over Poptropica. The Sneezing Powder gives you - and anyone you want - you guessed it, a bad case of the sneezes! These are two of my favorite powers in the store. I have to admit, I really like making Captain Crawfish sneeze up a storm. Head over to Poptropica, go to the store, and grab your special powers before they're gone! Free leprechaun follower and costume! No need to be Irish to enjoy the Luck 'O the Irish today, Poptropicans! We've got some fun St. Patrick's Day items for you! Go to the Poptropica store and grab our leprechaun costume, which is also equipped with a fun power: It lets you do a little Irish jig! Then grab your wee leprechaun follower on Mythology Island. He'll trail you around Poptropica and maybe even bring you a bit of luck when you play games with your fellow Poptropicans in the common rooms. And finally, dye your hair green over on 24 Carrot Island! Just head on into the diner, find the drink machine, combine blue and yellow to make a green drink - and drink up to get magically green-hued hair. The free costume and leprechaun follower are only available for a limited time, so head on over to Poptropica to get yours! It's too close -- we need your vote! The votes are pouring in for which Members-only Island will be opened to everyone. And the count is absurdly close! Your votes can make the difference. To cast your vote, go to any common room on any Island. Click on the “March Madness” poster and select the island you want to open up. Today is March 14, or 3/14, as some would abbreviate it. That means it's Pi Day! In honor of our favorite irrational number, we're giving everybody who plays Poptropica today a free Cream Pie Toss power. All you need to do is log onto Poptropica, and we'll instantly award you the card! There are at least 3.14159 reasons to love Poptropica. Now there's another one. Go to Poptropica now to get your Cream Pie Toss card! Pi Day won't last forever -- and this card will be gone tomorrow! Vote for the members-only island YOU want to open up! Attention, Poptropicans! Cast your vote today to open a members-only island to the public! But we’re going to open up ONE of them to everyone - whichever one gets the most votes! To cast your vote, go to any common room on any island. Click on the “March Madness” poster and select the island you want to open up. There’s no limit to how many times you can vote, so cast as many votes as you like. Voting ends March 31, so hop over to Poptropica and vote, vote, vote! PS: Charlie and the Chocolate Factory is currently open to everyone for a limited time, so be sure to play it while you can! A chocolate-hungry monkey on the loose! A third monkey is on the loose somewhere in Poptropica! It must have been attracted when the doors to the factory swung open and those rich, chocolatey aromas wafted out. Can you find and claim this monkey follower before it's gone? We're getting reports of another monkey sighting outside the B Cinema. Observers say this monkey may even have an appetite for braaaaains! Head to Poptropica now and hunt for the second monkey. Find him in time, and you'll earn yourself a brand-new monkey follower! Meet Kory Merritt, the illustrator of Mystery of the Map! "Mystery of the Map," our first graphic novel, is in bookstores everywhere. And if you live in the New England area, you may have a chance to meet the illustrator, Kory Merritt! Space is limited at some of these events, so check out those links if you want to go! We'll keep you informed of any future appearances! Check out "Mystery of the Map" today! Attention, Poptropicans: The monkeys have escaped Monkey Wrench Island and are on the loose! We're hearing rumors of a monkey sighting outside the Twin Palms Mall. Go there now and click on the monkey to get your very own primate follower! But hurry -- there's no telling how long this crafty little creature will stick around! We're also hearing that more monkeys are spreading across the Islands of Poptropica and that you’ll be able to find more monkey followers in the days to come. Stay tuned! Mystery of the Map is available now! The day is here! The first book in our graphic novel series, "Mystery of the Map," is available at bookstores everywhere! Visit our Mystery of the Map homepage to find out where you can get your own copy!